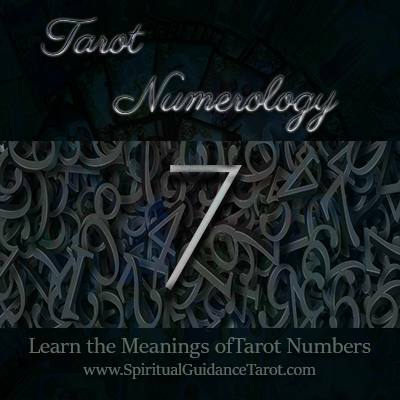 The number 7 in Tarot is a deeply philosophical and spiritual number. When you see the seven’s come up in abundance it speaks of the need for introspection. People who carry this number often need time alone to unwind and to contemplate things before opening up to others. Seven often comes up around introverted people, those who are deeply thoughtful and compassionate, but tend to not wear their heart on their sleeve so to speak. As a result, they may be mistaken for disconnected or aloof, but in reality, they simply prefer to process their emotions independently. Sevens in abundance suggest that this quality is something that would best serve the current situation. Rather than rely too heavily on the opinions of others or what you “think” you should do, be still and sit with the current issue. Allow your answers to flow to you and don’t over-analyze, but allow. This card often comes up around resistance. You know those times that you look back on and think “I really knew better, but I did it anyway”… Sometimes we are not willing to listen to the still, small voice of Spirit. Seven’s in abundance warn us not to do this, but to internalize and contemplate before moving ahead in haste. Strengths of the Seven: Intuitition, higher levels of awareness and the ability to solve problems using well-rounded thought patterns. Introspection and considering the higher meaning and purpose of all situations. Slow, thoughtful, deliberate actions. Challenges of the Seven: A tendency to be too self-involved at times or oblivious to others, can appear aloof or disconnected. Sometimes 7’s feel so misunderstood that they do disconnect from others when they might benefit from some added perspective. The number 6 in Tarot speaks of practicality, being down to Earth and focused more on everyday living, caring for family, work and immediate responsibilities. People with this number have a strong desire to serve others coupled with a strong sense of responsibility. 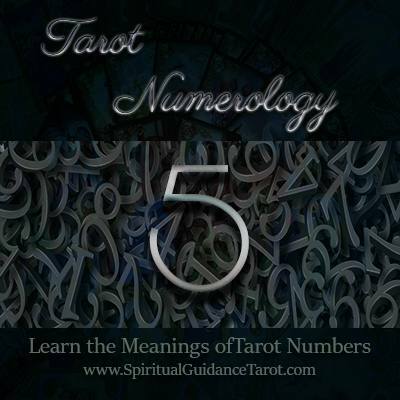 Numerology plays an important secondary role in the Tarot. When several cards with the same number appear in your spread or are drawn frequently, those numerological influences will also be playing a strong role in the current atmosphere. Six comes up around the material realm, being focused on the here and now, survival and basic human needs and instincts. Six people can sometimes have a very simplistic view of life when not properly balanced and may see the world in terms of “black and white”. They can be traditionalists to the point of having difficulty opening up to new ideas or ways of doing things. The Six person has a need to feel valued by others and is often called to service careers. They are loyal, hard working and dedicated. Challenges of the Six: Can be needy, sometimes stubborn and resistant to change, too focused on the material realm. Numerology also plays an important secondary role in the Tarot. When several cards with the same number appear in your spread or are drawn frequently, those numerological influences will also be playing a strong role in the current atmosphere. The number 5 in Tarot tends to depict challenges and upheavals. Often they come up around material prosperity, but at the cost of personal fulfillment things of this nature. When you give up something to pursue a goal that isn’t in your best interests. Fives often demand us to stop what we are doing and be very honest with ourselves, not just on an analytical level, but on a deeper emotional and spiritual level. Is the person, thing or goal we are pursuing something that will lead to sorrow later? When five’s come up in abundance it’s time to ask yourself “Is this what I truly want? or merely what I think I want or need”. You may find you see 5’s a lot when you are hitting the same challenges over and over. This is a message to you to reconsider where you are investing your time and energies. Numerology also plays an important secondary role in the Tarot. If you have many cards come up with the same number in a spread, it may also be pointing to additional influences playing a strong role in the current atmosphere. When you see a number repeated frequently within a spread or if the same number is drawn frequently, there is a good chance that number is holding lessons for you as well. 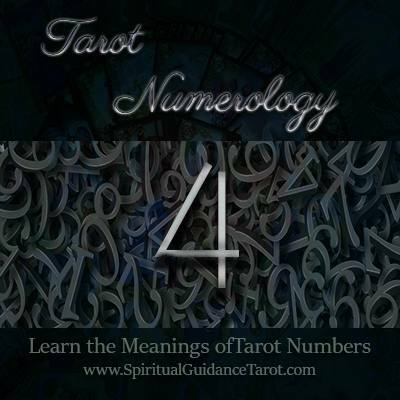 The number 4 in Tarot signifies practicality, hard work, and determination. It can sometimes point to delays in a course of events, but these are usually just temporary and can be worked through. The challenge with many fours can be a tendency to work towards goals that are perhaps not in one’s best long-term interests. While you may eventually get what you want; there is a good chance it won’t be how you want it. Fours are all about the space and time needed for something to grow. If you plant a seed, for example, you have to tend to it and wait for the right time for it to blossom. No amount of resistance or pushing etc. can make this process faster. Four embodies a need for patience, wisdom and knowing exactly what you are working to manifest. Hard work and diligence are important qualities of the 4.